Imagine being Cristiano Ronaldo. The man literally has it all, and I have absolutely nothing. One honour that has alluded him however, is the privilege of gracing the cover of FIFA, which pretty much most other elite players have featured on at one time or another. Jordan Henderson was the only exception to this ‘elite’ rule – he’s rubbish. Finally though, EA Sports have announced that Real Madrid’s mercurial front-man will be the cover star for FIFA 18, set to be released on 29th September. A trailer has been released to go along with the announcement, with fans getting a glimpse of Ronny’s trademark style and abilities whilst tearing the Chelsea team a new one – something I always enjoy seeing. 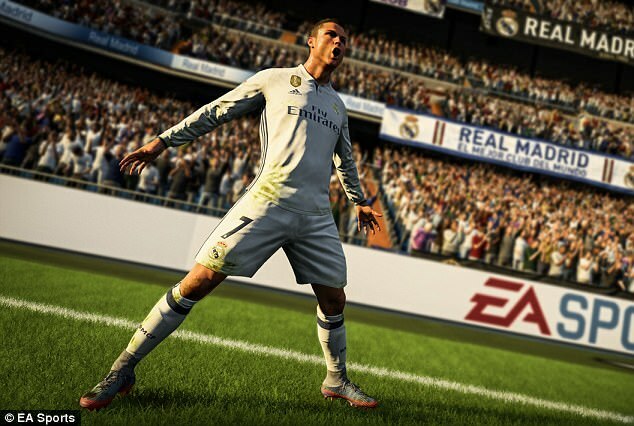 Alongside the standard version of the game – which will be released on Xbox One, PS4, PC, PS3, Xbox 360, and Nintendo Switch – fans will also be able to purchase a special ‘Ronaldo edition’ of the game. 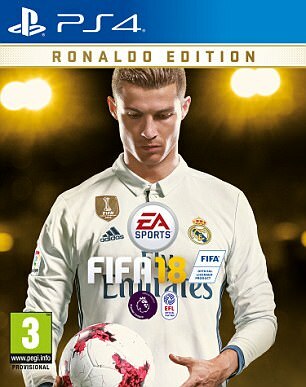 People who pre-order this version will be given access to Ronaldo on FIFA Ultimate Team as part of a five-game loan and will also have three days of early access to the game ahead of the main launch, although there has been no mention of it being available on the Switch. 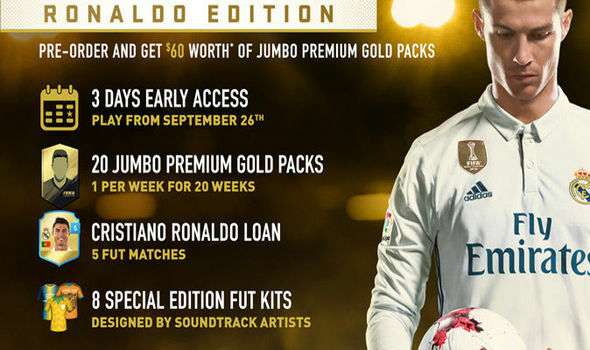 EA Sports also say there will be up to £45 worth of additional content included in the purchase, including 20 jumbo premium gold packs and eight special edition FIFA Ultimate Team kits. “The world’s best player has helped fuel the biggest leap forward on the pitch that we’ve ever delivered. The honour caps a pretty spectacular year for the Portuguese legend, winning the European Championship with Portugal in summer before adding the La Liga title and the Champions League. He was also awarded FIFA’s The Best award and is hotly tipped to add another Ballon d’Or to his resume once again after winning it last year. Do you think he was the right choice? What do you think the upcoming game looks like? Let us know in the comments below!